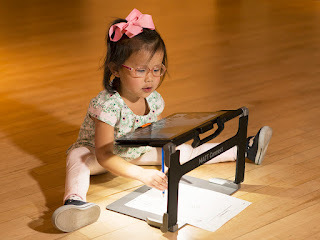 Over the past decade or so, museums and cultural institutions have become much more accessible to visitors with disabilities. However, access to museums for people who are blind and visually impaired is still a sticky issue. I recently wrote about the new issue of the Disability Studies Quarterly, which focuses on the topic of access for visually impaired visitors. In the subset of museums, art museums seem to be the hardest to make accessible. Art, by nature, is almost entirely visual. Besides that, can you imagine reaching out to touch da Vinci's Mona Lisa and having every police officer in Paris swarm down on you? Generally, art museums want you to admire the pieces at a "safe" distance. The assumption is that people who are blind and visually impaired would not be interested in what an art museum has to offer. 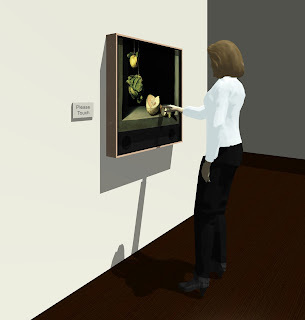 In reality, though, many people who are blind and visually impaired would like to visit an art museum if they knew that there was some sort of accessible exhibit or touch tour. Several well-known museums, such as the Museum of Modern Art (MoMA), offer touch tours and extensive audio descriptions of the galleries. Visitors on touch tours are typically allowed to interact with sculptures, but paintings and other two-dimensional works are not included in the tour. 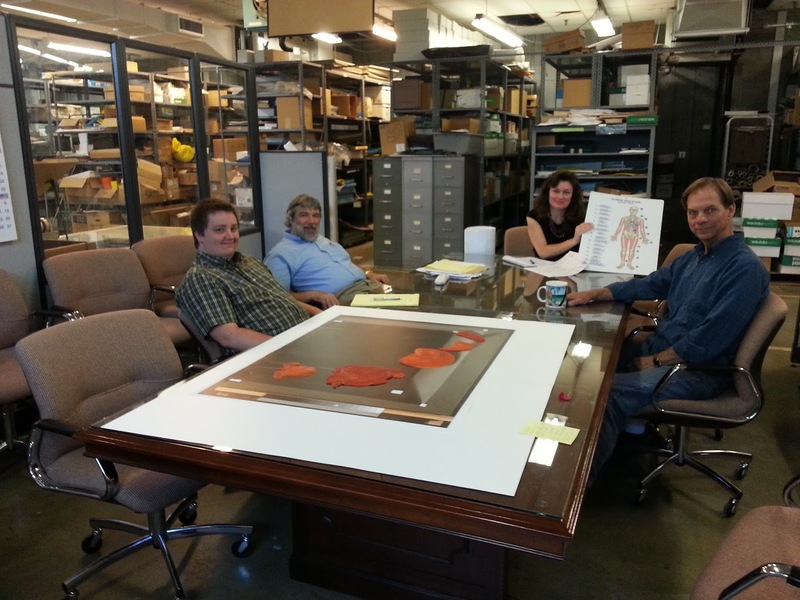 Touch Graphics, Inc. is changing all that by creating talking tactile museum exhibits. Founded in 1997, the main interest of Touch Graphics "is to present spatial concepts and figures through non-visual or extra-visual means. Materials produced are used in schools, libraries, museums and other exhibit spaces and transit terminals." They have worked with many museums, including The Met, the Smithsonian National Museum of American History, and the Lower East Side Tenement Museum in New York City. They have also created a talking campus model for Perkins School for the Blind. 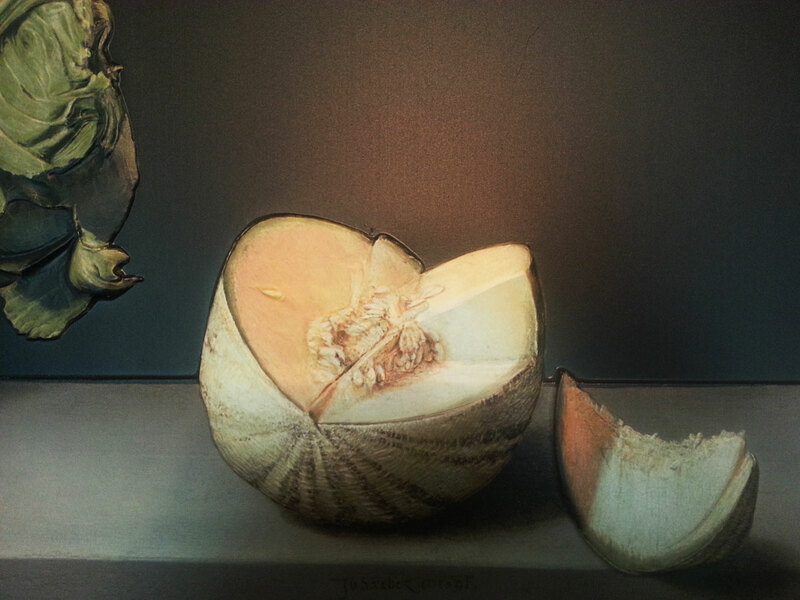 Photo detail of the tactile graphic melon, courtesy of Touch Graphics, Inc. Team working at APH on exhibit, courtesy of Touch Graphics, Inc. Using a provided graphic file, we printed the graphic on heavy-duty vinyl using our Roland UV printer, in color, to make the base of the pattern. Each piece of vegetation (quince, cucumber, melon) was originally carved by an artist. These pieces were sent to us by Touch Graphics. Our model maker took one of the printed sheets and carefully trimmed around the printed forms to cut openings in the sheet. He then used the trimmed sheet as a template to locate each piece of vegetation on the vacuum form pattern in correct proximity to each other and in correct proximity to the perimeter of the vacuum form pattern. The molds of the vegetation were then affixed to the vacuum form pattern with brads, or small nails. Finally, the pattern was vacuum formed. Vacuum forming is a process where thin sheets of plastic are heated and then pulled down over the vacuum form mold using a vacuum pump to create three-dimensional tactile features to an otherwise flat sheet. Care must be taken to heat all areas of the sheet evenly for a crisp, defect-free mold of the sheet. Great care is also taken to maintain registration between the printed form and the tactile form. Four good final products were sent back to Touch Graphics. View a photo gallery of the exhibit. Touch Graphics took over from here. They filled in the forms (the vegetation) so that they would be hard and not cave in when people touched them. They added capacitive touch sensors to the back of the framed piece. These sensors measure the electrical charge in your hand. They are in different zones so that when the computer senses the electrical charge in a certain area, it will "talk" to you about whatever that area represents. For instance, the cucumber represents one zone, while the melon represents another zone. The finished product, which is mounted on a wall and measures 33 W x 28 H, not only describes the artwork to you, but also gives you detailed art historical analysis of the piece if you wish. It is very user-empowering. You can hear a short description, or you can choose to hear information that is more detailed. Finished exhibit panel in use, courtesy of Touch Graphics, Inc. Listen to a clip of the audio that will play when you touch the cabbage. As you can tell, it took a lot of ingenious, creative people and a lot of work to make this exhibit possible. Hopefully, many people, especially those who are blind and visually impaired, will find this exhibit informative, fun, and accessible. If so, maybe other art museums will want talking tactile exhibits as well. And maybe one day the Mona Lisa will have its own talking tactile reproduction!